We know that you need to find the right customers for your business. But so many businesses don’t make it clear who they are or who their products are for out of fear they’ll be excluding people. If there are two people at a party you’re interested in, one is drawn to people who are quiet and reserved while the other is attracted to life-of-the-party type people, which person would you naturally attract? Let’s say you’re quiet and reserved and have been asked out by your match. But you’d also like to go on a date with the other person so you attempt to mimic the extroverted people they’re currently talking to. How do you think that will turn out? You’re going to struggle with what to say and how to act because you’re not being yourself. You’ll also end up throwing both people off because the person you’re a perfect match for is now wondering if you are actually a fit and the other person is skeptical of your authenticity. When you focus on being yourself and showing people who you really are, you’re more comfortable, you attract the right people, make instant connections and build long lasting relationships. This is also true when it comes to attracting the right customers. When your products, branding, display and messages aren’t clear, you end up attracting shoppers who aren’t quite a fit for your business and making the ones who are, question you. Appealing to both sides might make you some sales but will you see the growth and brand loyalty that comes from choosing a side? Not likely. IN DATING: The way a person looks is what initially attracts you to someone. Their physical features, the way they style their hair, the way they dress, etc. Great relationships are built on more than appearance so just because the looks aren’t an exact match to your taste doesn’t mean there’s nothing there. But if you’re scanning a room, looking for someone you might be interested in talking to, overall appearance is what’s going to catch your attention and draw you in. IN BUSINESS: Your logo, brand colors, photos and even the fonts you use all contribute to your business’ looks. 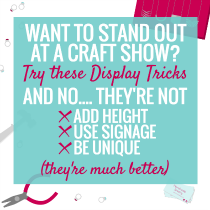 At a craft fair, these elements as well as your booth setup, props and the way you’re dressed, will help shoppers decide whether you’re the right kind of brand for them. If they’re into soft colors, modern style and subtle accents and your brand portrays all of those elements, they’re going to notice you from across the room and beeline it over. 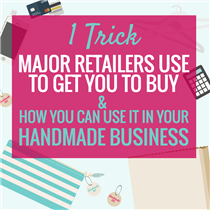 If your business’ overall looks aren’t exactly to a shopper’s taste, they may still stop to see if they connect with your handmade products, there just isn’t that initial attraction. IN DATING: Once you see someone you find attractive, you generally strike up a conversation to learn some basic information. You pay attention to the way they talk (and the way they talk to you) and the topics they talk about to determine whether you have enough in common to build a relationship. If you’re looking for someone who is well-spoken, respectful and interested in a quiet social life, you’re going to be turned off by someone who is swearing, looking over your shoulder as you talk and telling you how they love to go out every night of the week. 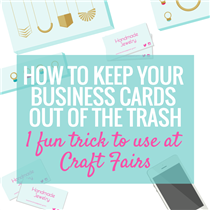 IN BUSINESS: If a shopper sees your craft fair booth from across the room and heads closer to find out more about your handmade products, they’re going to be reading labels, looking at prices, listening to your sales pitches and examining your products to try and determine if they’re a fit for them. If they saw your skin care business and stopped to see if you carry face cream for sensitive skin, they’ll be looking and listening for hints that your products won’t give them a rash. If your labels read “for sensitive skin” and you’re explaining how each ingredient is incredibly gentle and soothing, they’re going to consider taking it to the next level and purchasing. IN DATING: If you’re attracted to a person and have lots in common, the last thing you’re going to look for is a connection. Do they really get you? Do you trust them? Is there a spark? If everything lines up on paper but in person, something seems off or there just doesn’t seem to be anything there, you’ll either decide to just be friends, end the relationship before it starts or end it after a short period of time. There needs to be some sort of a connection for any type of relationship to last. When you’ve built an authentic brand and attracted your ideal customer, this is easy to do. When you’ve added a little-bit-of-this and a little-bit of-that, the shopper begins to wonder if you’re quite a match. If you want to take your entire game to that level, download the full e-book MAKE MORE MONEY AT CRAFT FAIRS. It’s full of tons more light bulb moments to get you thinking about your business differently and increase your sales. IN DATING: If you’re a homebody but have met someone who loves to go out, how long could you pretend to enjoy going to bars every night? You may be able to fake it through the first conversation by recollecting every bar you’ve been to in the last year to hold up your end of the discussion but the fact that you just want to be home at night will come out sooner or later. If you have lots of other things in common, it might not be a problem but if you’ve based your relationship around pretending to be someone you’re not, it will eventually fall apart. IN BUSINESS: If you’ve added a line of face cream to your products for people who have oily skin but you’ve struggled with dry skin all your life, you’re going to have a hard time connecting with shoppers who have overactive oil glands. You struggle with flaky skin preventing your makeup from going on smooth while they deal with makeup sliding off. Creating an effective product is going to be hard since you can’t test it and personally vouch for its results. Shoppers with oily skin may buy one of your handmade creams but when they realize it doesn’t work as well as you say it does, they won’t be coming back for more. You’d be better off focusing solely on products for dry skin and expanding within that niche (hand cream, lip balm, face masks, etc.) You can effectively market to one type of person, address the specific issues they deal with and become an expert in your area. You’ll gain way more sales through your focused efforts, word of mouth and returning customers. Still unsure about narrowing your products down? Download our free chapter for a whole whack of benefits that come from focusing on a niche. Businesses can of course attract more than one type of person but as their audience grows, so does their team. They bring on experts to help in areas they aren’t familiar with. 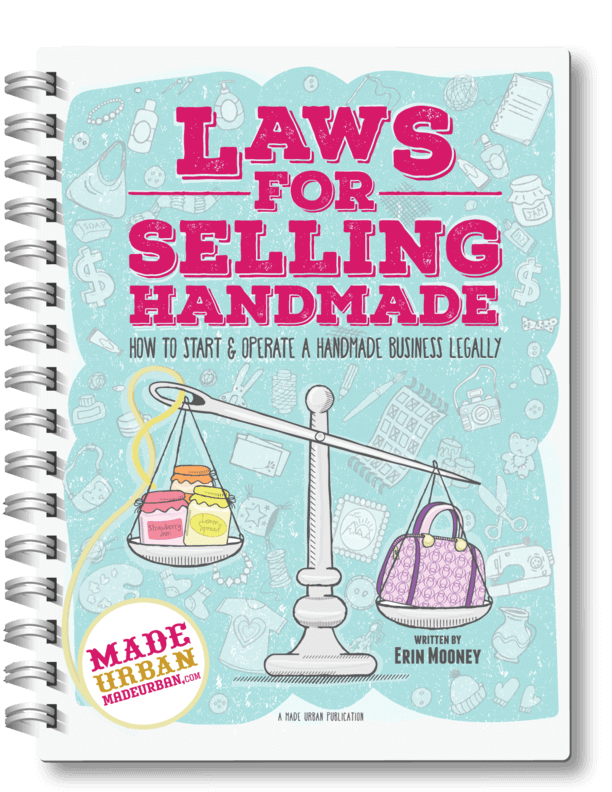 As a handmade business, and likely a team of one, you need to work with your style, knowledge and experiences to build your company. 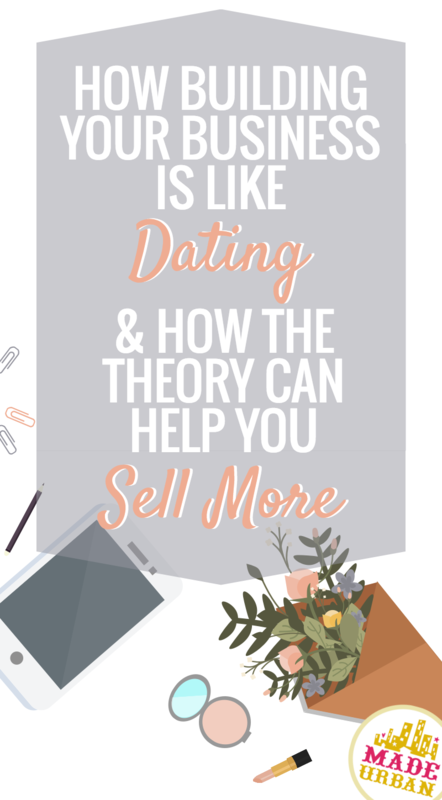 If you have a partner who knows another side of your products or are able to work with a focus group and testers, you may be able to effectively sell products to people you don’t 100% connect with. But trying to guess what someone with oily skin struggles with, what they want and what they find effective is difficult when you personally have dry skin problems.